Lonely Planet, the largest travel guidebook publisher in the world, has ranked Estonia as the number one best value destination for 2016. The guide recommends going into the forest as a worthwhile experience. Estonia has a lot of forests. 40% of them are certified organic! Whereas the tiny country of Bhutan, nestling in the Himalayas, aims to become the happiest country in the world, equally tiny Estonia, on the shores of the Baltic Sea, is going for the title of most organic country. Indeed, there is potential – plenty of fresh air, forests, land and sea. We have tranquillity and space, untouched nature and a variety of clean, raw materials close at hand. On the other hand, we are a smart IT-country with our e-state, e-Residency and startup culture. These two sides – natural and innovative – could prove to be a match made in heaven. Organic is the green way of thinking and living, caring for nature and people, considering the balance of the environment, giving up what pollutes and destroys. It is a long-term and responsible attitude, in order to leave the next generations with a dignified life and a clean natural environment to enjoy. The idea of Organic Estonia won the grant of the Development Idea competition organised by the Estonian Development Fund in 2015. Life in Estonia was curious to find out from one of the authors, entrepreneur Siim Kabrits, how the idea of Organic Estonia was born and what it contains. ‘Organic Estonia refers to a state which values clean food and a free natural state of being. Half of the Estonian territory is covered in forest, which, as our forests are all naturally grown. Hence the produce of our forests is actually already organic. 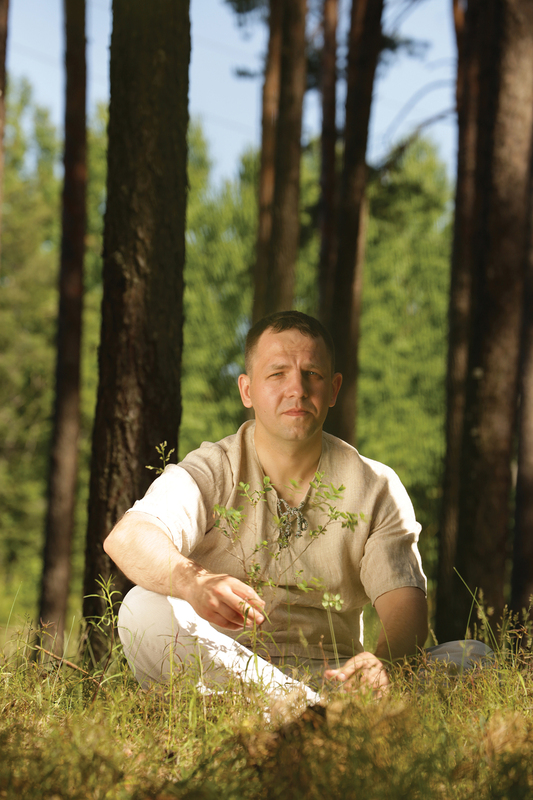 Organic Estonia is also in tune with the global trend of appreciating a sustainable and environmentally aware organic way of thinking,’ says Kabrits who grew up in the middle of the wilds of South Estonia, which explains his love of the woods. ‘As Estonians we have managed to preserve the know-how of our forefathers, our rich traditional culture. On a grassroots level our way of thinking and our values are organic anyway. The organic way of life benefits everyone, it offers the best chance for a successful future, the key to ensuring the health and wellbeing of generations to come. The right kind of decisions on the national and individual level will help maintain the valuable things in Estonia which have disappeared in many countries or which countries are really struggling to restore. ‘We began a very long process last year. As residents of Organic Estonia we can tell our story all over the world, turn our smallness into a strength, emphasize the importance of sustaining a clean natural environment in all political future decision-making and take advantage of the unique opportunity to market Estonian agricultural and forest products as organic products in the world. All Estonians will benefit from this,’ claims Kabrits. 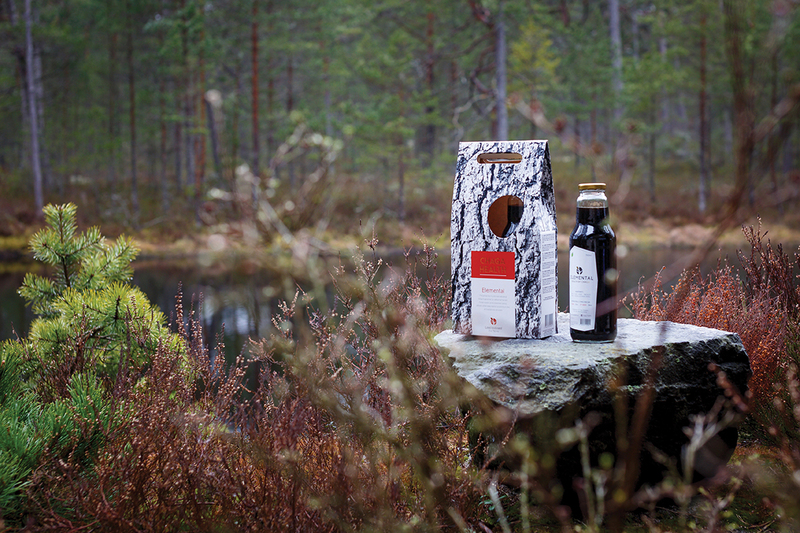 The idea of Organic Estonia stands on four pillars: forest, food, cosmetics and tourism. We have real forests, and not parks, in Estonia. It is illegal to fertilize or spray forests and we have no tradition of growing GMO cultures. In exceptional cases, toxic substances may be used in reforestation works. At the initiative of Organic Estonia, Estonian state forests have been declared organic forests and entered into the Organic Agriculture Registry of the Ministry of Rural Affairs since spring of this year. Estonian state forests are organic forests, where economic activity is carried out on the basis of the same principles as on organic agricultural land. 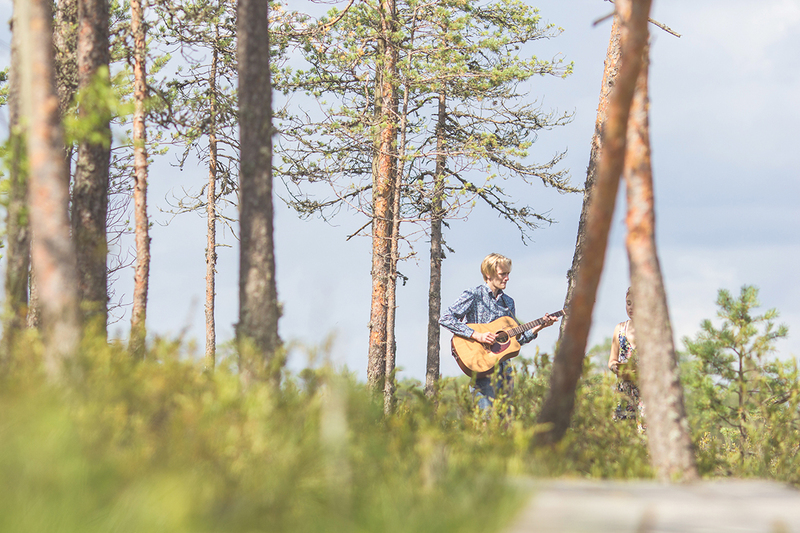 ‘We live in the middle of the woods’, goes a popular Estonian ballad. And this is indeed the case. Fifty one percent of Estonian land is covered in forest, 40 per cent of which belongs to the state and 60 per cent is in private hands. Estonian people are real gatherers – they love to go picking mushrooms and berries and other natural ‘gifts’ – everything from herbs and tree sap and pine kernels to nuts and needles – in the woods. This really surprises many visitors to Estonia – what do you mean you go to the forest to pick berries and not to the store? Now this pleasant pastime, which reduces stress and offers healing for body and soul has another benefit, which is the knowledge that the produce is certified organic. These are largely ‘superfoods’ too, as in harsh Nordic climate conditions only the bravest and most adaptable species can survive. In summer there is about 4-5 hours of darkness in Estonia whereas in the winter the proportion of daylight approximately the same. In summer, temperatures may rise to +35˚C, and in winter they can drop to -35˚C. The growing period for plants is extremely short – only three to four months. This forces plants to really pull themselves together, so to speak! Our forests are a real paradise of superfoods and as such are nature’s own medicine cabinet! If we consider that our state forests are organic and add to it the private forests which also operate on organic principles, we can easily deduce that Estonia is covered in organic forest. If we add the 16 per cent of organic agricultural land to the 51 per cent of organic forest, we can reach the conclusion that most of Estonia is in fact organic! In terms of the share of organic agricultural land we are already third in Europe and fifth in the entire world. One of the authors of the idea of Organic Estonia, Siim Kabrits praises those of our farmers who are behind the innovative thinking. He also has good things to say about our food industry. Estonian Spirit OÜ Moe Fine Liquor Plant – the second longest-established vodka producer in the world – has the necessary certification to produce organic alcoholic beverages. Saaremaa Dairy produces organic cheese ‘Öko Saaremaa’, and Berry Group Ltd. offers different frozen wild berries from Estonian forests. These are just some examples out of many. Small producers are even more active. The production of organic honey has more than doubled in a year. Nopri Dairy Farm collects birch- and maple sap in spring, and then bottles and freezes it in order to offer this valuable product all year long. 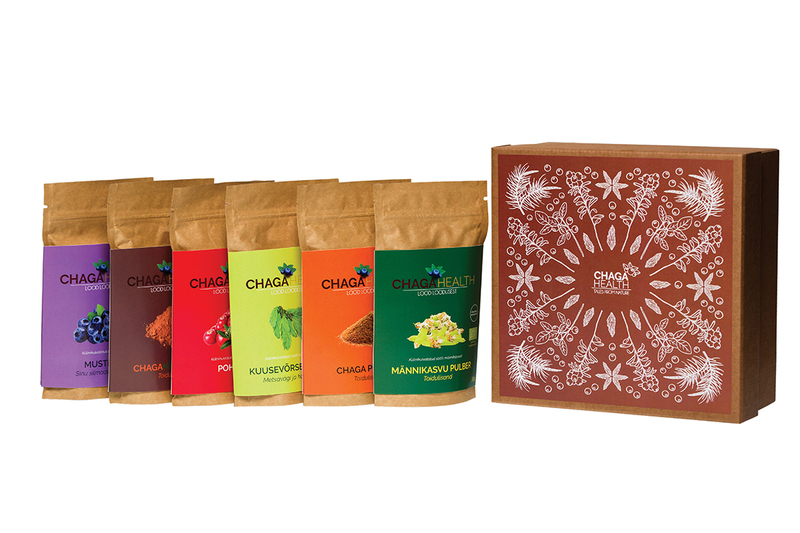 Chaga Ltd. produces freeze-dried pine buds and spruce tip powder. One of the first organic producers in Estonia – Pajumäe Family Farm – offers organic yoghurts, curd and cheese in addition to milk. At the initiative of Organic Estonia, restaurants, organic farmers and providers of innovative logistic services met in May in order to think about and work towards a joint goal – to open 100 organic cafes and restaurants in Estonia for the 100th anniversary celebrations of the Republic of Estonia in 2018. The Estonian natural cosmetics industry is still young, but the home-based preparation of natural beauty products has a long history as our ancestors were well informed about and made use of the exceptional power of herbs. Research into the properties and effects of the more than three hundred herbs growing in Estonia continues. The same can be said about the production of natural cosmetics, which makes use of essential oils extracted from natural herbs only, avoids the use of genetically processed or animal-tested ingredients and uses only human- and environmentally friendly preservatives. The term and content of natural, and especially organic, cosmetics still needs to be exactly defined at the European Union level. Currently there is a unified standard which sets criteria for natural- and organic cosmetics only in the development phase of the product. But there are various organic labels in existence already: NaTrue, Ecocert, Cosmebio, BDIH, etc. As certification is a complex and expensive process; there is no production of top level organic cosmetics in Estonia where at least 95 per cent of the ingredients extracted from nature or made of natural substances would be gathered from monitored organic lands in the wild. If the future Estonian eco-state starts to support the process, the number of organic cosmetics producers is bound to increase. However, there are local producers such as GoodKaarma, Domina Elegans, Nurme, TurBliss, Lumi and others, who use certified organic ingredients in their cosmetics. There are also cosmetics producers whose creams, lotions and soaps include natural and local tinctures, honey and wax, beeswax, sea mud and bog turf, such as Joik, Tilk!, Sõsar, Ingli pai, Ehe ilu. In addition there is a unique research, development and production centre in Estonia – the knowledge-based health- and natural products competence centre at the Estonian University of Life Sciences in Polli, near Viljandi. The activities of the centre include the development of plant-based cosmetics products and research into bioactive compounds from garden ingredients for the product development of functional beverages, foodstuffs, household products, natural cosmetics and natural plant protection. ‘When I tell my Asian clients about clean nature and fresh air, they do not get what I am talking about – they do not have either. For them it is almost science fiction. When they visit Estonia they are in shock when they see that they can pick blueberries themselves in the forest and eat them,’ laughs Kabrits. ‘These are irreplaceable experiences and emotions which Estonia can offer its visitors,’ he goes on. Tourism gourmands who yearn for everything organic want to experience other things than the life and activities centred around Tallinn. Workaholics from a London bank, Shanghai skyscraper or the New York Stock Exchange want to recharge their batteries, restore their energy in calm and peace, to breathe in fresh air and to enjoy tasty organic food. Swimming in a bog lake, hiking in the wilderness, picking and eating forest produce in the autumn, skating on smooth river ice in the winter, smoked saunas and many other Nordic-style experiences are ‘exotic’ things they cannot even dream about. This is the uniqueness which Estonia has to attract visitors who are into everything organic. We have over 20 accommodation providers which have received the international environmental label Green Key. It was in 2001 that Estonia joinedthis system, created in Denmark in 1994. At least half of the ingredients on the breakfast menu of a Green Key accommodation provider must be local. All crockery must be reusable and over-packaging is avoided. Water is used sustainably, toilets ideally use rain water, for example, and vehicles used have low CO2 emissions. Furthermore the Estonian Eco-tourism Association and the NGO Estonian Rural Tourism have created a local organic tourism quality label called EHE – the Natural Way. Almost fifty tourism farms and excursion providers have the quality label and offer environmentally-friendly and sustainable tourism services and genuine experiences which also preserve our historical heritage. Trips can be taken down the Sauna Route, Food Route and Onion Route. Visitors can enjoy the Barrel Fair in Avinurme, the Rye Festival in Sangaste, the Pickle Festival in Tahkuranna, the Day of Airing the Traditional Dress in Valga, the Tuulekala Festival in Hiiumaa and the onion and fish fair in Lüübnitsa, the Dandelion Festival in Kihlepa. Enjoy a night of ancient fires, skiing trips and other excursions from sunset to sunrise or even a sauna bus party. ‘Let’s think big. Let’s show the world that we care about nature, the environment and future generations. Let’s announce in 2018 – when the Republic of Estonia will celebrate its 100th anniversary and hold the presidency of the European Union – an Organic Year in Estonia,’ says Kabrits enthusiastically. This article was originally published by Life In Estonia, read it here.